Where has the year gone? Half way through already! We saw changes in Detox Your World for 2013, but we have had an amazing response and success in the last 6 months and it is all thanks to YOU. Therefore, as we reach the halfway point in the year and look forward to another healthy and fulfilled rest of the year with you, we were thinking how could we give something back to all you lovely lot to say thank you? - To show a token of our appreciation and love for you. You will receive 1 Lovechock - We will surprise you with one of the following flavours - Pure Nibs, Almond Fig, Goji Orange, Mulberry Vanilla or Pineapple Inca. You will receive 1 surprise Lovechock and we will also surprise you with 1 of the following nut butters - Raw Almond & Cacao Spread, Hemp Butter, Raw Tahini, Raw White Almond Butter or Raw Whole Almond Butter. You will receive 1 surprise Lovechock, 1 surprise nut butter and we will also surprise you with 2 superfoods of the following at 100g – Chia Seeds, Hemp Protein Powder, Cacao Powder, Maca Powder, Lucuma Powder. You will receive 1 surprise Lovechock, 1 surprise nut butter and we will also surprise you with 3 superfoods of the following at 2 at 100g and 1 at 500g – Chia Seeds, Hemp Protein Powder, Cacao Powder, Maca Powder, Lucuma Powder. You will receive 1 surprise Lovechock, 1 surprise nut butter and we will give you all the 5 superfoods, 3 at 100g and 2 at 500g – Chia Seeds, Hemp Protein Powder, Cacao Powder, Maca Powder, Lucuma Powder. 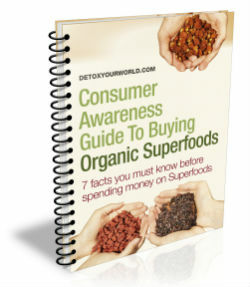 That's all the superfoods for free! All the gifts above are delicious but wouldn’t it be great if you got exactly what you wanted! To take advantage of these gifts, no further activity is required from yourself, aside from putting in your order. Our fantastic staff will simply put in your surprise gifts for you based upon the value of your order. Simple as that!